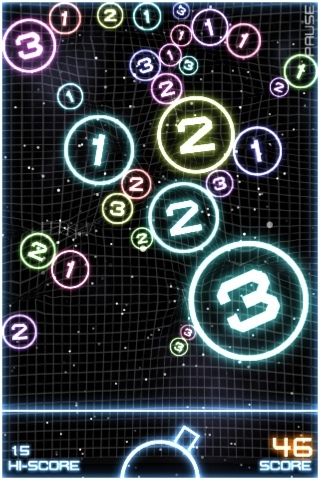 Orbital is a puzzle game for the iPhone. It's one of those games that you can play a game or two whenever you have a few spare minutes and just see if you can break your record. It's very easy to pick up and is pretty addictive. 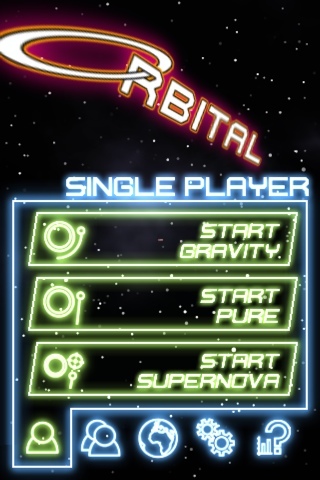 Orbital's gameplay is simple: you shoot orbs using a cannon. The orb flies through the sky and once it stops it expands as much as it can till it touches either a wall or another orb on the board. 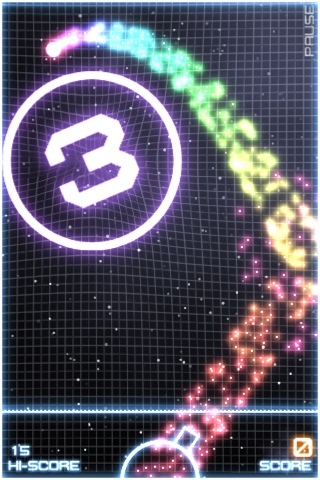 Each orb contains the number ‘3’, which decreases by one every time it is hit. After 3 hits they explode and you earn a point. 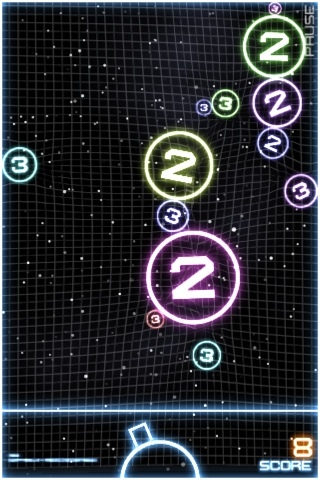 The look and feel of Orbital is great, it really looks cool and the robotic sounds are great. 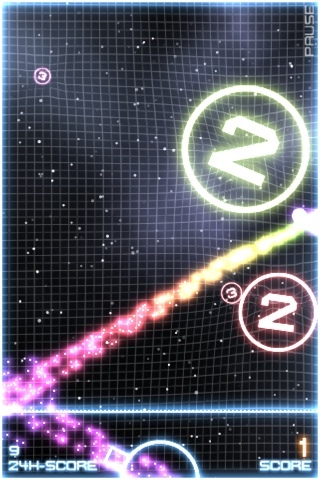 It also has a cool multiplayer mode where two players can play on the same iphone (both people shoot orbs at the same board) but I usually find myself playing it for a couple minutes at a time when I have some time to burn.